Aimix Group has over 30 years history since its establishment, and we provide varieties of batching plants for sale with different models, capacities and specifications. Here, we will mainly talk about the features and advantages of Aimix commercial concrete batching plants. All the powder materials are batched, weighted and fed into the mixing material in a closed state, which can also provide a clean working environment for workers. The mixer cover, cement metering warehouse and the dust pipeline of fly ash metering tank are connected with the dust collector, and we set dust board in aggregate filling thus reducing the dust emissions. It adopts fully closed main mixing building and belt conveyor structure, which greatly reduces the dust and voice pollution. The mixing blades are made of unique high-chromium high manganese alloy wear-resistant materials, and the shaft end adopt unique multi-sealing, which greatly improves the reliability of the host. The ring belt junction adopts vulcanization bonding, which has longer lifespan than ordinary bonding methods. The entire equipment maintenance and repairing sites are equipped with a platform or maintenance ladder, which is easy to check and repair. The host cleaning are equipped with a pump washing and manual cleaning devices. The platform structure and aggregate belt conveyor adopt fully closed structure to ensure the smooth production under any circumstances. 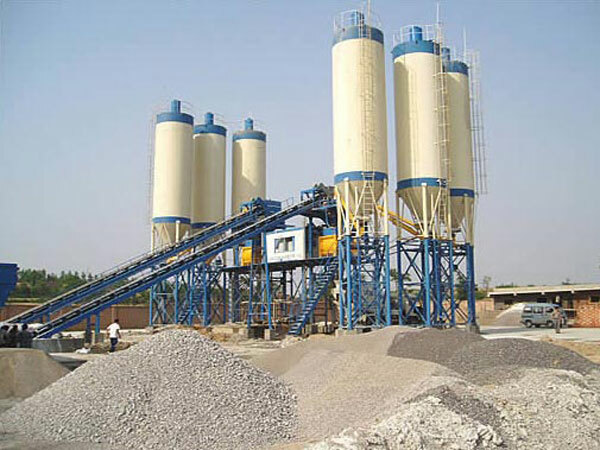 The above items are the brief introduction of our stationary or mobile concrete plant, and please contact us for more details, such as a free quotation, pictures, specifications, video and so on.